Harry Potter is moving on ... sniff ... 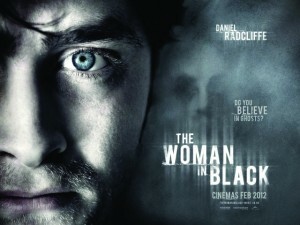 In this gothic horror, Daniel Radcliffe plays Arthur Kipps, a widowed lawyer whose grief has put his career in jeopardy. When he's sent to a remote village to sort out the affairs of a recently deceased eccentric, it becomes clear that everyone in the town is keeping a deadly secret. The townspeople try to keep Kipps from learning their tragic history, but he soon discovers that the house belonging to his client is haunted by the ghost of a woman determined to find someone and something she lost, and no one is safe from her vengeance. This film might attract teenagers who grew up watching Radcliffe as the young wizard, but it's too dark for tweens.